It can come across as all a bit cliché (and tech 2.0) for us to rattle off our values, mission and culture etc. A lot of the time it’s hollow lip service to popular culture. But I’ve had a big think about this one, and for Chronohaus, I really want this company to embody, and remain as, a passion-based company. Chronohaus is never going to be a Google, Apple, nor Uber. It’s always going to be niche, catering to a small corner of society. So, when you’re not aiming to be the biggest company in the world (as most start-ups do), you can recalibrate and really establish ‘what you really want from this’. 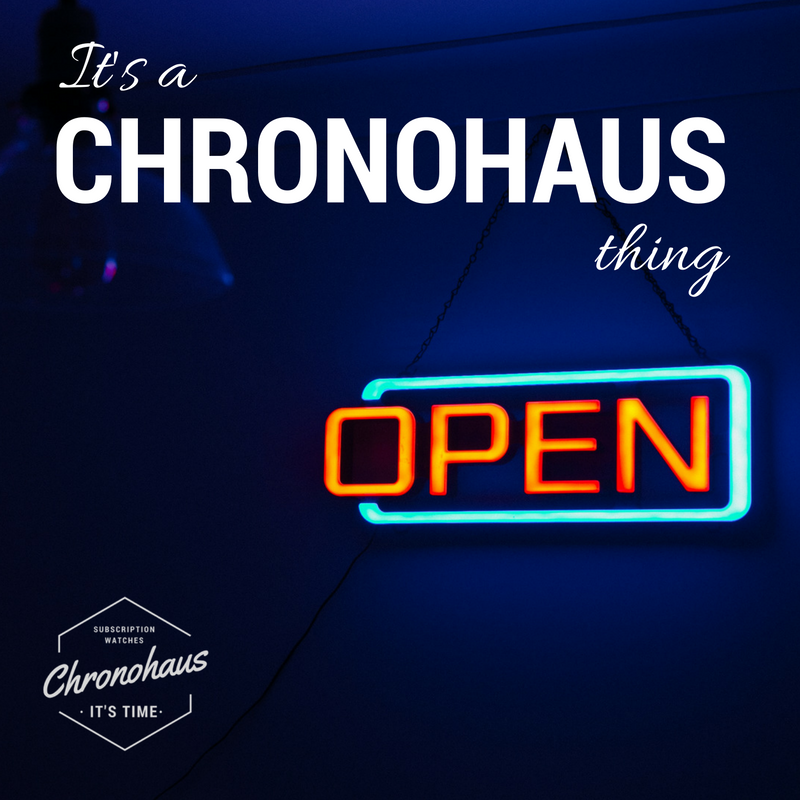 As a result, Chronohaus is shooting to be a cool boutique business, within a great little niche. Chronohaus has all the fundamentals to be a great ‘passion’ company. Watches are fabulous, and the community around watches, and the fervour that consumes them, is also fabulous. I also believe that Chronohuas has a strong USP (another cliché, but valid: Unique Service Provision) in that we are changing the way that people enjoy watches. Making it more affordable and more accessible. Yes (the clichés are coming thick and fast), we are disrupting this space. I have committed to building Chronohaus to be a company that is able to best serve its small client base. So… I really believe that if we (i) offer our clients fantastic service, (ii) offer a significant USP and (iii) execute well, then the theory goes we should have a successful, sustainable little company. Chronohaus is based in central London, and (currently) cater exclusively to the London market. We’re going to concentrate on a tight geographic market initially, ensuring the best possible experience for our clients. Maybe one day we’ll expand locations, so let us know if you’re interested. It might seem paradoxical to say we have grand ambitions (err, grand-boutique ambitions?? ), but we do. This has the potential to change the way that people enjoy and explore their passion – watches. Chronohaus hasn’t invented the subscription/sharing/access economy, but we’re sure going to take best advantage of this rising tide. It might even expand over into other high-value goods and services. But for now, we’re just going to concentrate on giving our inaugural central London members, the best ride of their life. In conclusion, here’s the run down on what defines us, directs us, and makes us tick. If you want to know more about me, Derek, the founder, read here.